I was hoping for just a simple little phone that does nothing but store numbers and allow texts. I ended up with this iPhone. According to my kids, I'm now officially the coolest mom on the block. Anyone out there use an iPad? Do you love it as much as I do? My girlfriend got one for her birthday and she LOVES it. Will you be expanind on your "new job" - congratulations by the way!!! I don't have an ipad or an iphone, but I'm an Apple girl. I have an imac and an ipod touch, and was always a mac user. I don't have an iphone because of my ability to crash phones...I could never stand crashing an Apple. i don't have one but might get one if i end up having to commute a long distance! You go girl! You are way cool. The attorneys at my office use i pads, i got to set them up for them. They are really cool but I am just not one for too much technology lol. Oh and thanks for your great advice by the way! sah-weet! I just went to the Apple store and bought a Mac book Pro! I have had it exactly 2 days and now I really want the ipad and the iphone. yeah - fat chance of me getting one the laptop was expensive! never touched an iPad. this definitely makes you cool! Oh yes! You are cool! I need one of those btw, working outdoors is so fun. Look at you lady. That's supah cool! Enjoy your new job and ipad! you are def. the coolest mom! for so many reasons! Sooo jealous! I have heard nothing but good about the iPad! XO! you really are the coolest mom on the block! r u kidding? i'm still trying to figure out my cell phone!!!! but you defintely are WAY COOL! I dont have any of those cool things lol! my husband does : ) he all about it... mine get broken with kiddos : (. I do know that he LOVES IT! Hey posted about the crane project...and figured out how to link thank you!!!! will email though if does not work lol! i am INSANELY jealous! i'm waiting impatiently for the white iphone 4...i can't take it much longer! Ha! Correction. you are the coolest AUNT on the block(: lol love ya!! but I am super sad that I won't be able to see you when we are in Nevada!! Just a couple days til we head up there!! YAY! hey, did you enter the ebelskiver giveaway? stop by if not. would love to have you join in! I don't have an Ipad, but do have the iphone which I love for it's simplicty and readability. Nearing 50, I find soem phone text just too small. i don't have one, but i'd sure like to give it a test drive! i'd really like to have a Netbook but an iPad would be the next best thing. I agree, you are super cool! Whoa, congrats to you! My boyfriend has an iPad - I love mooching off him and using it at times. Well I have an iPad. Actually got it to blog, but it doesn't work with blogger. Or at least I cannot get it to work. Other than that I think it is amazing! You just might be the coolest mom in blogland! hehe....that is wonderful...I do NOT have one YET! but there's always hope! Congrats on your new job! I don't have an iPhone or an iPad!! 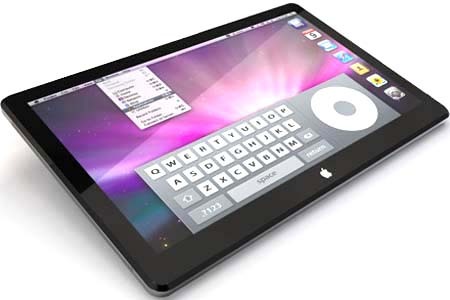 Would love to put an iPad on my wish list! Looks like you have your work cut out for you...learning two new appliances! Hugs!! Congrats on the new job...way to go! very cool! congrats on the new job! My mom has a really snazzy cell that is MUCH cooler than mine. So unfair. SO jealous. have fun! xoxolannie. I have both of these and I LOVE THEM!!!!! Oh cool.I dont have one, YET lol. Your kids are right - you are the coolest mom. ahh sooo cool!!! My dad has an ipad but won't even let me touch it! ohmygoodness! thank you so much for leaving a comment on my blog so that i could find yours!! i love the reason behind the start of your blog. i have also donated to locks of love. I don't have an ipad, but several of my friends do and they LOVE it. I just makes it so much easier for them to organize everything. You are a cool mom! :) Thanks so much for the comment on my blog - Jude Law is pretty darn amazing! Wow. You are cool. An iPhone and an iPad. So awesome. I'd love to see you do a post to tell us more about what it does. I'd love one, but what does it do? Did you need a class to learn? how hard was it? Congratulations on the new job!! And with a fancy phone no less!! I, on the other hand, am still mastering the rotary dial.